needed to produce an image, these includes coil type, gating leads, bellows and immobilization devices. There are several types of coil that is common and currently available. 1. 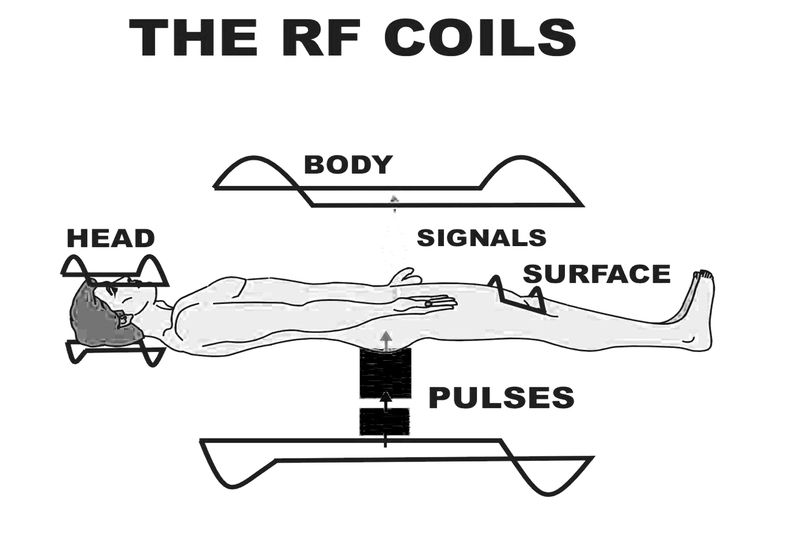 Volume coils – it is also known as transceivers, and can both transmit and receive radio frequency (RF) pulses. Majority of these coils are quadrature coils meaning, it is a paired coils and capable of transmitting and receiving signals resulting to enhanced SNR (Signal to Noise Ratio). An equal distribution of signal across the whole field of view (FOV) and enabling to image a large areas of anatomy is one of advantages of this type of coil. 2. Linear Phased Array Coils – this is composed of large and small coils receivers. Large coils (increased coverage) and small coils to improve SNR. The signal received from the large and small volume coil are combined to form one image. 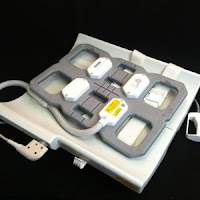 The linear phased array coils are used to examine large and long areas like the spinal cord or can also be used to improve its signal uniformity and the intensity in small anatomy like the breast, but these coils are usually used in spinal studies. 3. Volume Phased Array – or it is also known as the Parallel Imaging Technique it is use to decrease scan time or increase its resolution around the area under examination. But Volume Phased Array requires an additional software and hardware. Hardware like several coils or channel at about 2 to 32 coils and perpendicularly arranged to each other. During the scan, each coils fills its own lines of k-space. Example is if this two coils are used at the same time, one coil fills the even lines k-space and the other the odd lines. Every coil produces a separate image that often displays aliasing and combines the images from each coil to produce a single image. Many manufacturer offer this technology, which can be used in any examination area and with any sequence. 4. Surface / local coils – it is use to improve the SNR when scanning near to the surface. Generally this type of coil only receive signal that is transmitted by the body coil, to fit a certain area this coil is used. Some disadvantage of the Surface or local coil is an increase in SNR compared with volume coil, because this coil is placed close to the region under examination and in this case the signal amplitude generated in the coil, and noise is only received in the vicinity of the coil. But, surface coil only receive signal up to the edges of the coil and to a depth equal to the radius of the coil. 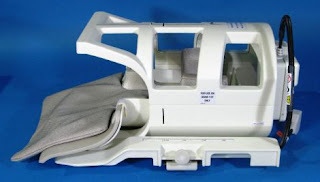 Deep structures within the patient, either a volume, linear or volume phased array coil or a local coil is inserted into an orifice and should be utilized. example is a rectal coil. Ensure receiving side of the coil faces the patient. both side of coils receive signal, but coils are made so that one side receives optimum signal. And this is are in shape to fit a certain anatomical interest. If the wrong side of the coil faces the patient, signal is lost and image quality decreases. 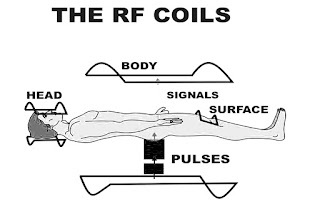 The coil is place as close as possible to the area under examination. The coil should not directly touch the patient’s skin as it may become warm during the examination and will cause the patient uncomfortable. A small foam pad or tissue paper placed between the skin surface and the coil is usually sufficient insulation. Be sure that the coil does not move when placed on the patient. When this coils moves means a moving images. Always ensure that the receiving surface of the coil is parallel to the Z (long) axis of the magnet. This guarantees that the transverse component of magnetization is perpendicular to the coil and that maximum signal is induced. Placing the coil at an angle to this axis, or parallel to the X or Y axis, results in a loss of signal.